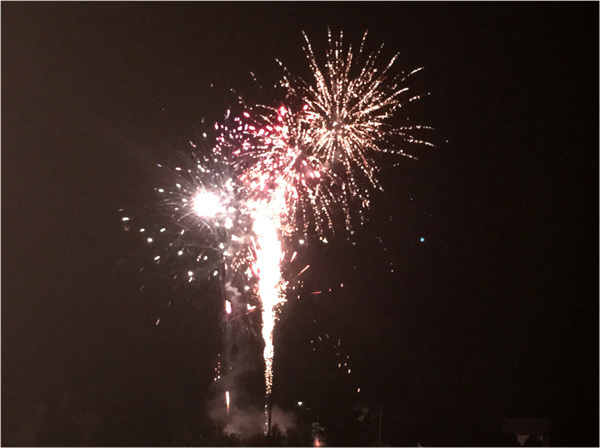 Minonk celebrated the 4th of July in very hot and humid weather which dampened the turn out somewhat compared to other years. 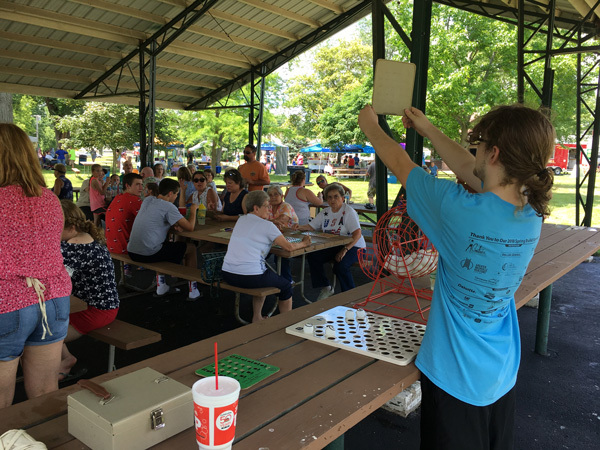 After the morning parade the festivities continued at the Westside Park where a chicken dinner was served in the pavilion and heat resistant people played bingo as shown above. 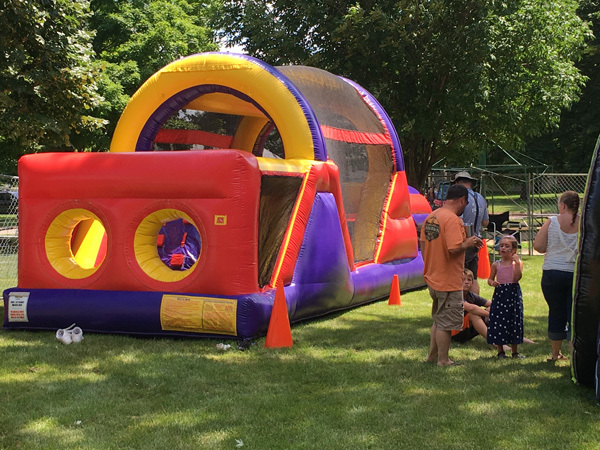 Kids were able to play in the inflatable rooms set up in the park. 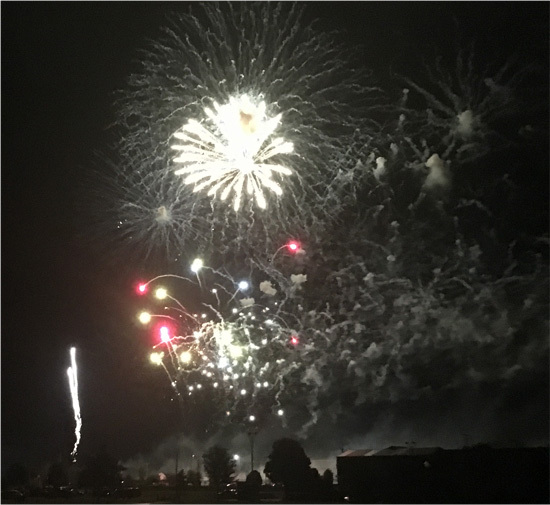 In the evening people congregated at Sutton's Park to listen to a band prior to watching the fireworks. 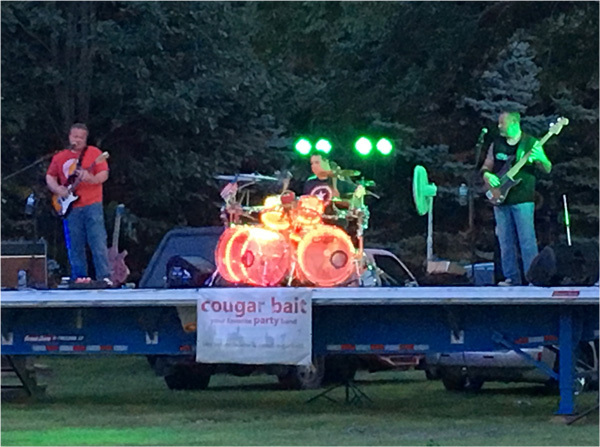 The band Cougar Bait played until the fireworks started. 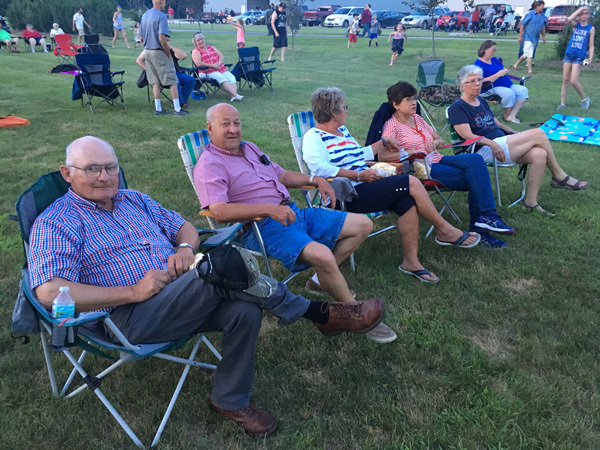 Jim Baumann and Richard Decker enjoyed the music with their wives. 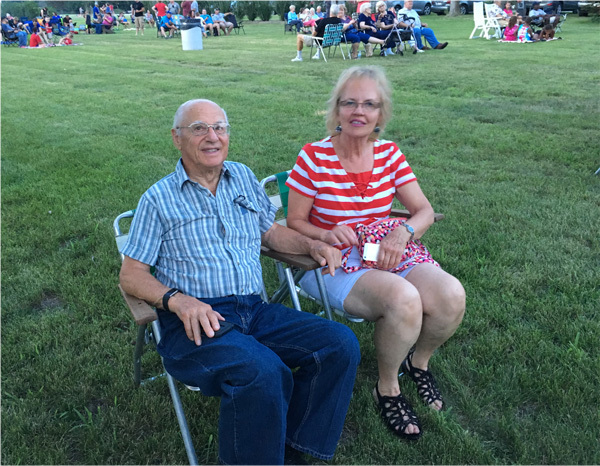 92 year old Melvin Matter and friend braved the hot weather to watch the fireworks. 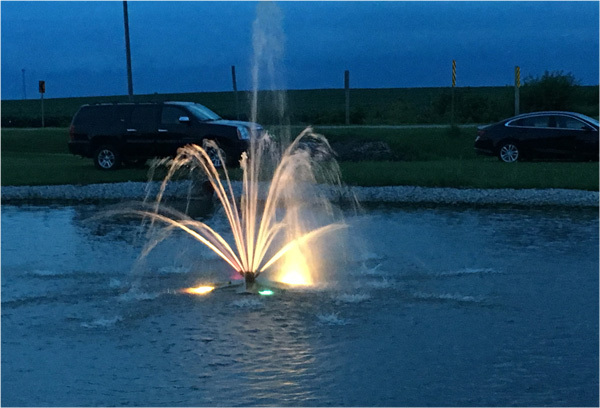 The water fountain in the lagoon at the New Millennia Park glows nicely in the twilight as cars parked around the lagoon and elsewhere in the park to watch the fireworks. 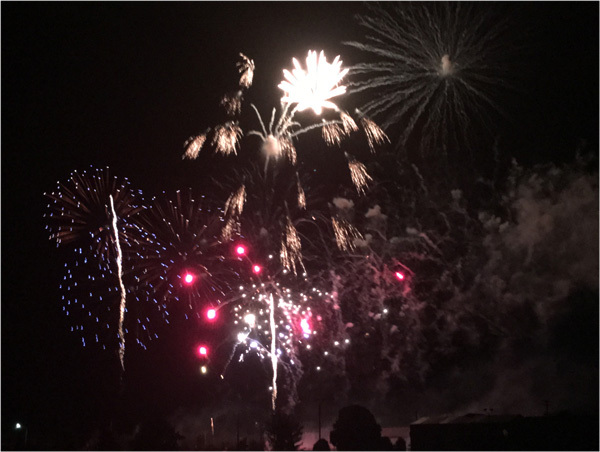 The fireworks began with a blast. And ended in a crescendo of color. 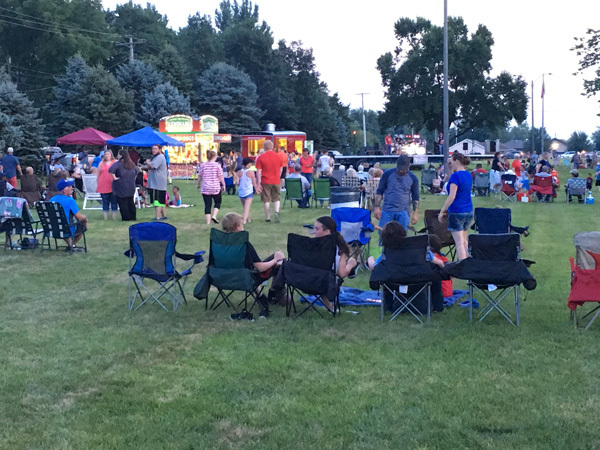 Once again Minonk's July 4th legacy lives on due to the hard work of its volunteers who are to be commended for their efforts in making Minonk the place to be on July 4th.